Respiratory tract infections (RTIs) include any infection of the sinuses, throat, airways, or lungs. Colds are the most common viral respiratory infection. Most RTIs are distinguished by the area they affect, with upper respiratory tract infections mainly impacting the area from the neck up, and lower respiratory tract infections impacting the chest area. Symptoms include coughing, sneezing, headaches, sore throat, muscle aches, and a stuffy or runny nose. Usually, the most noticeable symptom of a lower RTI will be a cough, sometimes producing mucus and phlegm. You may also experience tightness of the chest, wheezing, an increased breathing rate, or feeling of breathlessness. Your local FastMed Urgent Care is available seven days a week, including weekends and holidays, to evaluate, diagnose, and recommend appropriate treatment for both upper and lower respiratory tract infections. Let us recommend appropriate treatment to lessen the severity and duration of your symptoms. Respiratory infections quickly spread from one person to another. When you have an infection, such as a cold, minute droplets of fluid containing the virus are released into the air whenever you cough or sneeze. These droplets can then infect others in the area. Practicing the elbow cough or sneeze is a good way to prevent the spread of these droplets. Respiratory tract infections can also be spread through indirect contact, such as touching a surface or object that has been touched by someone else with a virus. To avoid contamination or contaminating others, wash your hands frequently, using soap and warm water. Most mild upper respiratory illnesses can be successfully treated at home. Upper respiratory infection treatment includes addressing symptoms with over-the-counter remedies and pain medications. Antibiotics for upper respiratory infections are generally ineffective, unless the infection is caused by bacteria. You should also stay well-hydrated by drinking lots of fluids and make sure you get plenty of rest. As with upper respiratory infections, common antibiotics are usually ineffective in lower respiratory infection treatment. If your symptoms persist, or become more serious, you should visit your nearest FastMed Urgent Care. 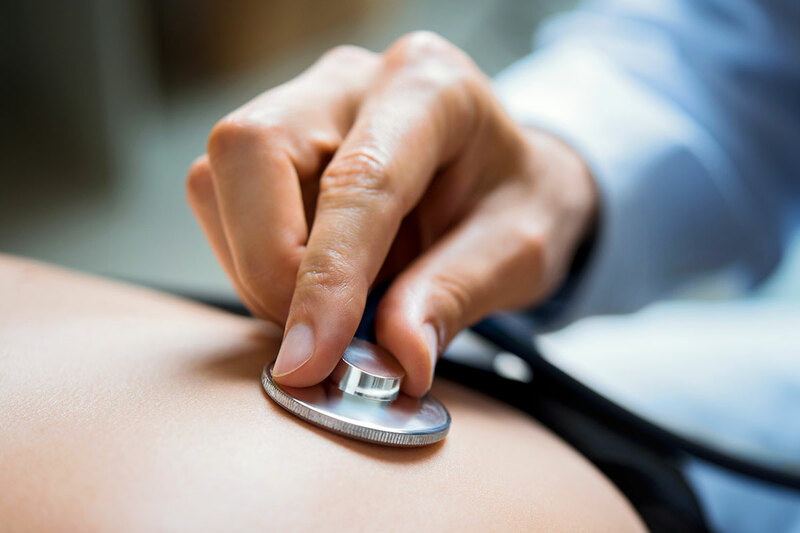 We can help determine whether your respiratory illness may be something more serious, such as pneumonia, or a chronic condition like asthma or COPD (chronic obstructive pulmonary disease). Anyone over the age of 65 should seek medical care if they experience a cough and have pre-existing conditions that suppress the normal immune response, such as diabetes, a history of heart failure, or certain medications. A respiratory tract infection that is left untreated can spread to the lungs and affect the entire respiratory system. Lung infections are highly contagious and spread quickly from one person to another. They can be particularly serious in children, older adults, or anyone with a compromised immune system. If you experience one or more of the above lung infection symptoms, you should seek immediate medical attention to determine whether you may have a possible lung or pulmonary infection. Your FastMed Urgent Care clinic is open seven days a week, 365 days a year to help. No appointment is necessary and convenient online check-in is available. The sooner you get treatment, the more quickly you are likely to recover.